What is the Best Air Conditioner for your Climate? Existing Air Conditioners can be converted to high efficiency for your climate. Air conditioners in dry climates need to provide cooling and very little dehumidification. 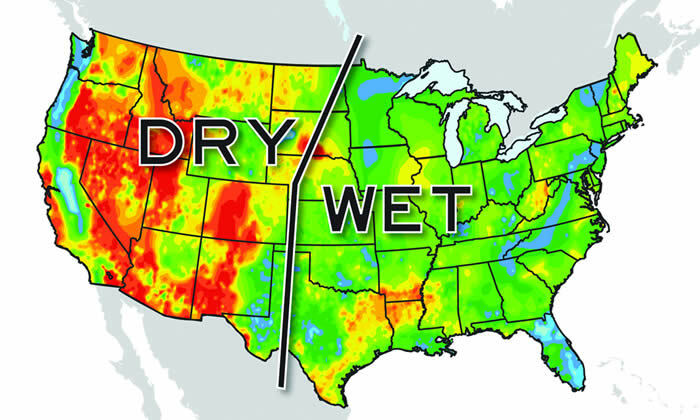 The air conditioning climate is dry in the western half of the United States, except Washington and Oregon west of the Cascades. Air conditioners in moist and wet climates need to dehumidify for comfort. The climate in the East is moist to very wet in the South. The average air conditioner is not designed specifically for either a wet or dry climate. Are you in a dry climate or a humid climate? "Congratulations on devising something that not only helps customers to be more aware of what their system's performance level is, but also something that brings the customer a lot closer to understanding the importance of efficiency."